Your leaders are the heart of your business. They’re the difference between a team who are engaged, feel supported and empowered, and throw themselves into the life of the company and a group of disparate individuals who can’t wait to get out the door. We can help you to give your leaders and managers an understanding of what leadership actually means, and the difference they can make to their teams and your customers. Subject matter experts can sometimes find themselves in a management role they’re unprepared for. We’ve helped train senior experts in a range of sectors (engineering, science, local government) in how to be an effective leader. We’ve run leadership programmes worldwide, from Dubai to Droitwich. Our programmes are bespoke to your organisation. Did you know that dolphin pods have either one or two leaders? Find out more about leadership and dolphins. Did you know that dolphin pods have either one or two leaders? These leading individuals are more likely to initiate direction change during group travel. Interestingly only one or two dolphins lead a group no matter what the size of a group. Dolphins live in a ‘fission-fusion’ society where they continuously join and leave different groups over a lifetime. This means they need to be both followers and leaders depending on the pod they have joined. 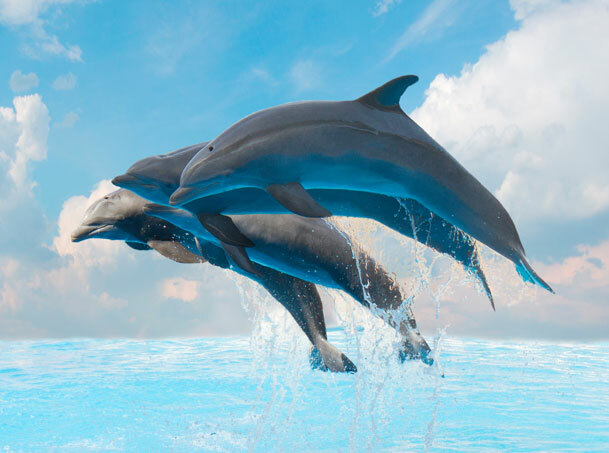 Find out more about dolphins and leadership. I’ve been in business for 15 years and have come across a lot of exceptional people. Janet sits firmly in the top 1%. We’ve partnered with Blue Starfish for several years and simply couldn’t do without their expertise and support. Janet’s been instrumental in coaching me in shaping the business for the better.